Doane Stuart is the Nation’s only successfully merged Catholic and Protestant school, and it is the region’s leading coeducational Early Childhood through Grade 12 independent school. The environment at Doane Stuart is one of inquiry and academic scholarship. The community is based upon mutual respect and honest communication; it is a place to grow your mind and build your heart. Doane Stuart was founded in 1975 when two historic Albany schools merged—one Episcopal and one Sacred Heart school. The union of these two schools (St. Agnes School, founded in 1870 and Kenwood Academy, founded in 1852). The resulting school, Doane Stuart makes a statement to the broader community about the importance of teaching students to live together peacefully, respecting the religious traditions of others. The name Doane Stuart was taken from the First Episcopal Bishop of Albany, The Right Reverend William Croswell Doane, and the Roman Catholic educator, Mother Janet Erskine Stuart, RSCJ. The Kenwood Academy was founded in 1852. The Kenwood Academy was founded in 1852. Kenwood, formerly known as Lower Hollow or Rensselaer's Mills, dates to the earliest Dutch settlement in New York's Capital District. 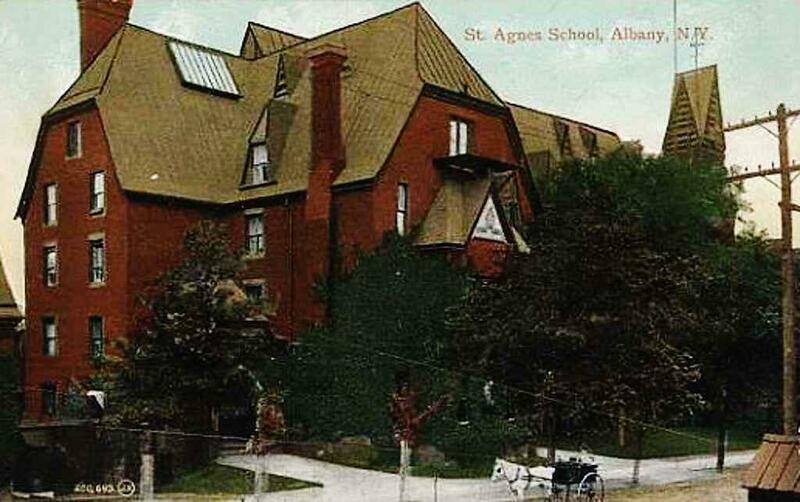 The St. Agnes School was founded in 1870 by the first Bishop of Albany, William C. Doane, who lived at 29 Elk St, right down the road. 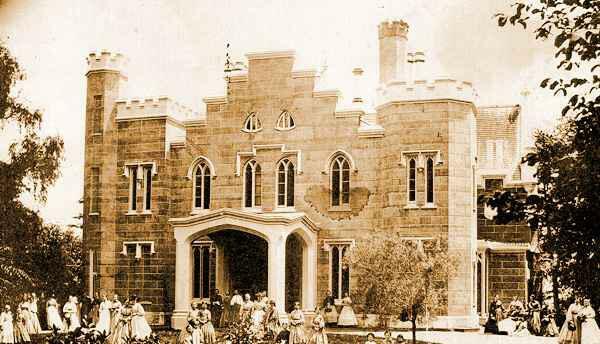 It was later opened in 1872 as a school for Catholic women. This Episcopal school was both a boarding school and a commuter school. It also housed a children’s hospital at the same site. The Doane Stuart School was founded in 1975 as the result of a merger between the Roman Catholic Kenwood Academy (founded by the Society of the Sacred Heart in 1852) and the Episcopal St. Agnes School (founded 1870). 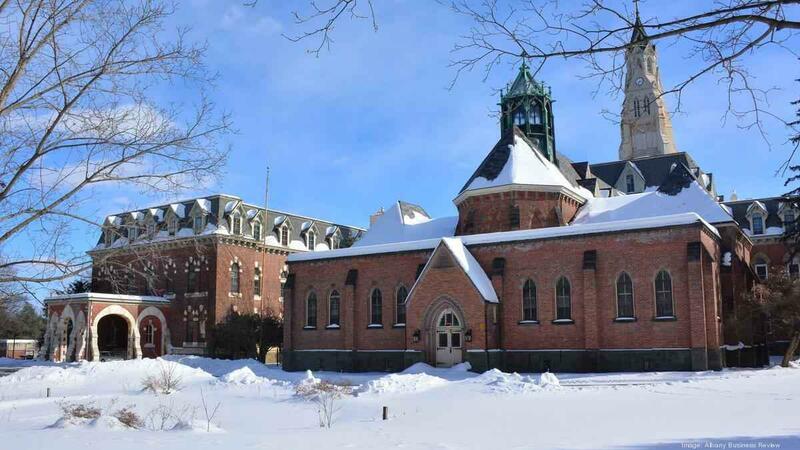 This unique merger is the only known merger of a Roman Catholic school and an Episcopal school in the United States. Doane Stuart moves to its current location at 199 Washington Avenue in Rensselaer. The building dates back to the 1930s and was constructed under the Works Progress Administration — a Depression-era federal program designed to get millions of unemployed Americans back to work. Construction of the $1.3 million 22,000 square foot vegetative green roof. is completed The largest roof of its kind in the Capital Region, which touts energy efficiency and environmental benefits, has engaged students, enhanced science courses and drawn botanists. It's also become a popular spot for receptions, with sweeping views of Albany and beyond across the Hudson River.